[HOUSTON, TX] — Disasters bring communities together and bring out the best in people. Organizations helping people and organizations helping companion animals (dogs, cats, horses, etc.) impacted by natural and human-made disasters have become part of the emergency landscape. They quickly and efficiently channel donor dollars into relief efforts. It’s different with wildlife. While wild animals impacted by these same disasters get compassionate care from wildlife rescuers and rehabilitators, a well-organized and well-funded response system has never been in place. The magnitude of the devastation wrought by Hurricane Harvey has compelled our organizations – LoveAnimals.org, Animal Help Now, Southern Wildlife Rehab, and The International Wildlife Rehabilitation Council (IWRC) – to put together a fundraising effort to come to the aid of the wildlife rehabilitators and rescuers desperately working to save wild animals orphaned, injured, or displaced by Hurricane Harvey and subsequent Texas flooding. The organizers intend for this effort to help serve as a model for future response efforts. In just a few days, the Harvey WIldlife Relief Fund has attracted more than a hundred donors and about $9,000 in donations. 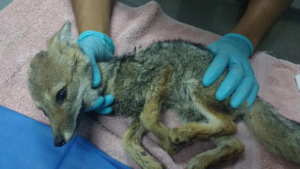 Before a week will pass on this fund’s launch, donated dollars will be transferred to the accounts of the wildlife rehabilitators who have applied for assistance. 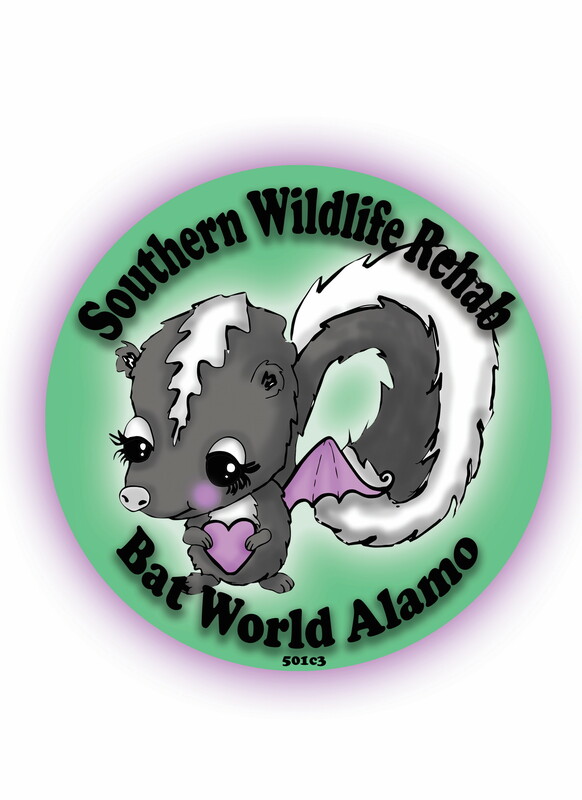 The team behind this fundraising effort is donating all time and materials, so besides some minor credit card processor fees, 100% of the money is going directly to wildlife rehabilitators and rescuers directly or indirectly impacted by Hurricane Harvey. 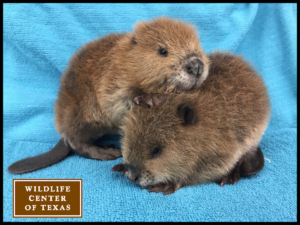 Grant funding is open to licensed wildlife rehabilitators and wildlife related registered nonprofit orgs (wildlife centers, home-based wildlife rehabilitators, wildlife hotlines and rescues) who have been directly or indirectly impacted by Hurricane Harvey. The initial grants are modest, but the group will be awarding them frequently, and recipients are allowed to receive multiple grants. Donations may be made at www.LoveAnimals.org/Harvey. Candidates may apply online or by phone at (210) 825-8961. 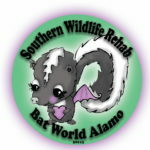 Southern Wildlife Rehab, Inc. was founded by Michelle Camara in 2014. She has rehabilitated animals for over 30 years. The subpermittees, volunteers, vets and consulting experts from all over the United States help us in our efforts to rescue and rehabilitate native wildlife. We are all 100% unpaid volunteers based in Texas and Louisiana. Amanda Autumn Margraves was always meant to be a rehabber, she just didn’t always know what to call it. She had a passion for animals and went to the University of Michigan, where she was studying in the Pre-Vet program, when she found an injured squirrel. Like many people who have such experiences, she spent almost a whole day trying to find out what could be done to help it. 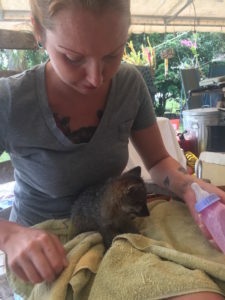 When she finally found a rehabber and learned what wildlife rehab is all about, she was hooked. She continued on at U of Michigan and got her bachelor's degree in zoology. But from then on, she was a rehabber. After college, she got a job at the Flint RiverQuarium, in Albany, Georgia. While there, she became a Georgia State permitted rehabber. She was the only rehabber in her area so she took in everything. 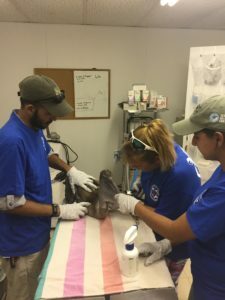 While there she also volunteered with the rescue efforts of seabirds from the Deepwater Horizon oil spill that affected the coastal birds along the Gulf of Mexico. She then went to Belize where she worked at Belize Bird Rescue and Wildtracks. She loved Belize and even after she moved on, she would go back as often as she could. After that, she landed the job of Director of Rehab at the Florida Keys Wild Bird Center. I had begun my rehab life at the Keys Bird Center working under their founder Laura Quinn. I lived and worked there for two years before moving on to work on a dolphin rescue project and eventually started my own place. Mine is the next rehab center to the north of the Keys bird center, so, I maintained close ties with them. When I heard that they were getting in a new rehabber, I made a trip down to meet her and introduce myself. That was when I met Amanda. That was in 2011 and over the next several years we stayed friends and rehab neighbors. If I had a water bird I would send it down to her. If she had a large bird of prey or a mammal, she would send it to me. During her four years there, she became a legend and was beloved by the Keys community. She was known as someone who would show up at any hour of the day or night (sometimes in her pajamas and slippers) to rescue any animal in peril. Everybody loved her and she had a cult-like following of fans who thought she was a saint and would follow her every move on social media. Many of these fans were people had witnessed her rescuing animals and some had only heard about her and wanted to know her. In September of 2015, she came to work with me and live at my center (Wildlife Rescue of Dade County) in the south end of Miami-Dade County. For twenty plus years, I had been running the center on my own and the addition of another experienced and legally permitted rehabber made an amazing difference. She worked at Wildlife Rescue for a year before she got hired to at Zoo Miami where she worked in the Amazon/South America section. Unfortunately, despite the many people who loved her, she fought a terrible, personal battle with depression. People who didn’t really know her only saw the animal rescuing super-hero, wonder woman who would quickly put her own life in danger to rescue any animal. Few saw the struggles she had to fight to save her own life every day. She lived and worked at my center for a year and a half and so I saw the highs and the lows. When I would see her in her deep depression, I would put her to work caring for babies. This would usually bring a smile to her face right through the tears. Nothing could fight away her depression like a baby fox or otter that needed a bottle. Sadly on that particular night, she could not fight off the demons when they came for her and convinced her to take her own life. Her last text to me was that I was running low on raccoon milk and I need to order more. Right up to her end, she was thinking of what had to be done to take care of our babies. To me, Amanda was not just a rehabber. She was my partner and friend. Amanda was born in Michigan and was 35 years old. Our members are always welcome to submit In Memoriams to IWRC for rehabilitators who have died. 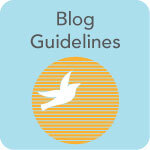 Submissions may be edited for content or length. Since early January Chile has been facing the worst forest fires it has ever seen in modern history, with ~2300 sq miles of land destroyed, thousands of people evacuated and 11 human deaths. The Chilean government has declared state of emergency in several areas, which have been receiving support from official emergency agencies, international help, and volunteers. This is a catastrophe: it can be described as a chain of wildfires, which have overwhelmed national services. Communities have lost their houses (more that 7,000 are homeless), their livelihoods destroyed (vineyards, tree plantations, etc), and many domestic animals have died or been injured. A silent victim of these fires are wild animals. Chile does not have the richness of other Latin American countries such as Brazil or Colombia; but the affected area has a unique level of endemism. In fact, the most affected species are the ones with limited displacements, especially amphibians and reptiles which are also the two groups with higher endemism in the country. The Lolol Lizard (Liolaemus confusus), was just recently described as a species and with a species home range of only aprox 5 km2. The entirety of its known distribution has been destroyed by the fires; the species may be facing a real threat of extinction. Luckily, the National Service of Agriculture and Livestock (SAG) together with the National Zoo captured 20 individuals from the fires. 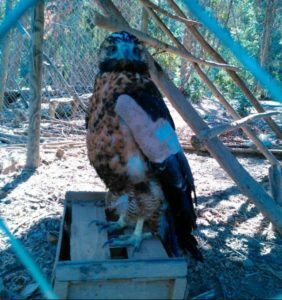 Emergency care being given to a Lycalopex sp Photo Credit Colegio Médico Veterinario de Chile A.G.
Harris hawk parabuteo unicinctus in care. Photo Credit Colegio Médico Veterinario de Chile A.G. Most wild animals caught in the fire have likely died; amphibians, reptiles, and invertebrates may not be able to escape. But other species can escape. Survivors have been found by the authorities, NGOs and the community. Huge efforts have been initiated to capture these survivors and treat them accordingly. Most of these survivors are represented by mesocarnivores such as foxes (Lycalopex sp. ), lesser grisson (Galictis cuja), and small felids. 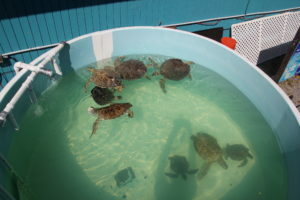 Most of these individuals have been taken to rehabilitation centers such as UFAS and the National Zoo, and have been treated in emergency facilities implemented with the cooperations of the national association of veterinarians (COLMEVET), National Zoo, national association of wildlife veterinarians (AMEVEFAS), NGOs, among others. All fires are not yet extinguished. At the moment, more than 50 fires are active (original number was over 90 by some accounts); people and animals are still threatened by the flames. Who is to blame? Probably, it is a multifactorial chain that involves humans (both intentional arson and negligent behaviors), the extensive plantations of exotic and pyrogenetic species for wood and forestry, inadequate territorial planning, climate change, and poor/belated response of authorities. There are many campaigns to receive help and support from national and international individuals. If you want to directly help animals, contact COLMEVET (National Association of Veterinarians), which is the official institution organizing the help for all animals in need. You can donate urgently needed funds via COLMEVET's international GoFundMe campaign. To donate directly to wild animals, make explicit note of this in the comment field during the donation process. Walter at the 2011 IWRC Symposium in Coral Springs Florida all dressed up in his favourite kilt! Some people's lives can be summed up with one lofty quotation. Walter Crawford was not such a person. He was a man of simple needs and complex dreams. Walter is best described not by a quotation, but by the fortune in a cookie: "A wise man knows everything. A shrewd man knows everybody." Walter may have had to kiss a lot of toads to make his dreams come true, but he, himself, remained a prince. Click here to read an interview with Walter from 1998. On June 10th the wildlife rehabilitation community said farewell to Jay Holcomb, executive director of International Bird Rescue. The first evidence of Jay and IWRC getting together is in March 1974 Board meeting minutes, noting his attendance at that meeting, but not his status. Jay’s association with the organization started before IWRC was even incorporated (this happened later in 1974). Its not clear from the records when Jay officially came on the board, but he was there by 1977 and spent at least 12 years on the board. Jay was president from 1981 to 1983 and again from 1988 to 1991. Jay’s first tenure as president began auspiciously with the lovely editorial you see below, reprinted from Volume 5(3) of the Journal of Wildlife Rehabilitation and featured again in the soon to be published Volume 34(2). Jay maintained his strong relationship with IWRC through four decades and countless changes to the field. Most recently he stepped in to participate in the 2011 Symposium when the scheduled International Bird Rescue speaker was called out to the Rena Spill in New Zealand. Jay’s influence was felt far and wide; demonstrated by the diverse award acknowledgements he received, from NWRA’s lifetime achievement award in 1996 to John Muir Conservationist of the Year and Oceana’s Ocean Hero in 2010. In lieu of flowers, donations can be made to the Jay Holcomb Memorial Fund at International Bird Rescue. IWRC extends condolences to Jay's family, colleagues, and the entire wildlife rehabilitation community. Jay Holcomb, circa 1982. JWR 5(3). As president of the Wildlife Rehabilitation Council*, I feel a need to share some of my thoughts on the work that we are all involved in. I have been racking my brain to find the words of wisdom I wanted to say. Instead, I should have been searching my heart, for it is love that connects me with the animals. With this in mind, I want to share these thoughts with you. One thing all rehabers have in common is a great love and compassion for the wild creatures of the earth. This is why we work incredible hours for little or no money, suffer from physical, emotional, and mental burn-out and sacrifice our personal relationships. It is our constant energy that has nurtured the field of wildlife rehabilitation to the point of becoming a respected and acknowledged profession and a necessary service in our communities. 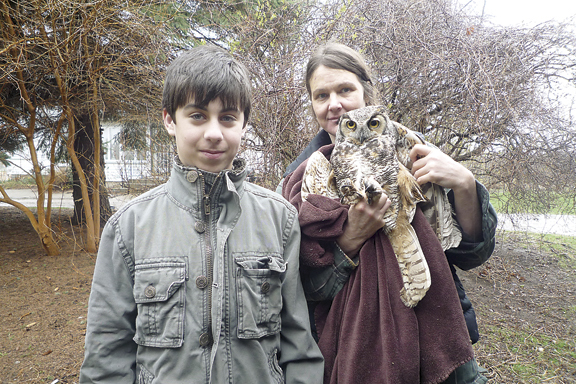 Wildlife rehabilitation is a pioneering field. We are one of the first groups of people giving back to the earth what many have selfishly taken for years. With every creature we release to the sky or forest, we return a little of what we’ve been blessed with: the earth with all the trimmings. The Wildlife Rehabilitation Council was formed by a group of people who believe in the freedom for all creatures. We owe it to the animals in our care to investigate new ideas and innovative rehabilitation techniques. Sharing is the only way to maintain excellence and build a strong foundation of knowledge. The full letter can be found in the archived Volume 5(3) and in the upcoming Volume 34(2). *At the time this was written, IWRC was still known as the Wildlife Rehabilitation Council. We all have that one instance or person who got us involved in wildlife rehabilitation. Let's take a moment today to celebrate them; whether it was a person, a situation, or a single warbler. For Karen, that person was Di Conger. The rehab community is saddened by Di's recent death. Let us remember all of the animals who went back into the wild due to Di's care, and all of the people she influenced in her life. Di did not want an obituary, so instead Karen has offered to share her story of jumping into rehab. I first met Di in 1994. I was working as an officer manager at an Invisible Fence dealership and Di was one of our clients. Our work crews always referred to her as the "squirrel lady" because she always seemed to have a kazillion of them either in her house or in her pre-release cages. I had talked to her many times on the phone but didn't meet her in person until the spring of 1994 when we had a huge old tree cut down outside the corner of our old farmhouse. The tree was so big and old I couldn't put my arms a fourth of the way around the trunk! Sure enough, when a main branch was cut - the workers cut right through a squirrel's nest full of tiny pinkies. They had no way of knowing it was there! One baby was killed and two more fell a LONG way to the ground. We put some of the nest material around the base of the tree, put the two little ones down and went in the house to watch. Momma squirrel picked up one of the babies immediately and took it somewhere else. She picked up the second one several times, turned her every which way and cleaned her thoroughly, and then left - and never came back. PANIC TIME!!!! I remembered talking to "squirrel lady" at work and immediately called Di! She was so packed she couldn't take another squirrel -- but immediately told me exactly what to do and arrived about an hour later with an incubator, formula, and everything I needed to raise my little girl! Next thing I knew, I was on Di's Board of Directors! 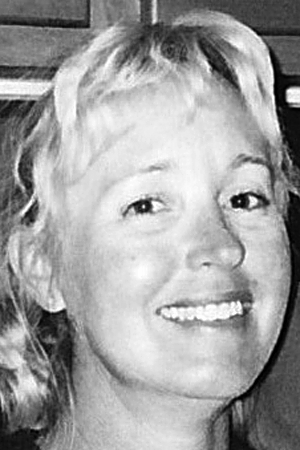 Miami, August 8, 2011: Wendy Fox, age 54, passed away August 6 in her home surrounded her family, after a long battle with cancer. Wendy was the Executive Director of Pelican Harbor Seabird Station for 10 years. She retired in June. Her son, Brian Fox, has taken her place as Executive Director. She is survived by her husband, Jeff; mother, Joan; two children, Mieke and Brian, and two grandchildren, Makayla and Emily. In lieu of flowers, her family requests well-wishers to please make donations in her memory to Pelican Harbor Seabird Station. Under her leadership the Seabird Station grew rapidly and began assisting other rehabilitation centers throughout the region. 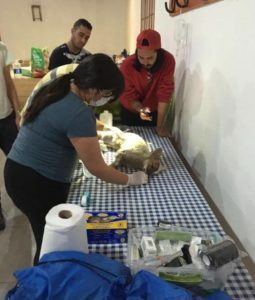 This included training wildlife rehabilitators in the US Virgin Islands, and assisting others with the care of injured pelicans along the eastern seaboard. She also served as the President of the National Wildlife Rehabilitator’s Association. 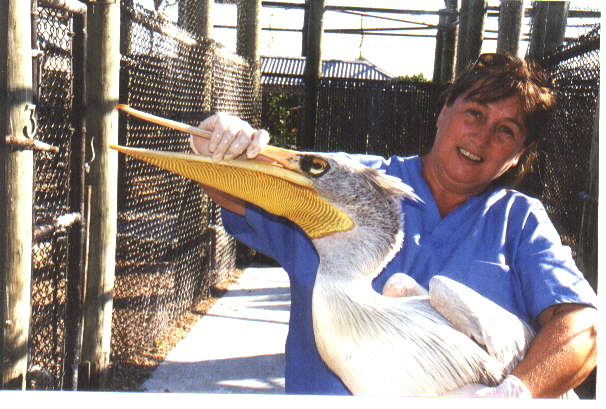 Her proudest moment, the pinnacle of her career, came in the summer of 2010, when Wendy was flown to Louisiana to assist with the care and treatment of pelicans oiled in the Deepwater Horizon oil spill. Some of these animals were transported to the Seabird Station in Miami for extended care. Pelican Harbor Seabird Station (PHSS) is a non-profit 501(c)(3) wildlife rehabilitation center dedicated to the care of sick, injured and orphaned wildlife in the greater Miami area. 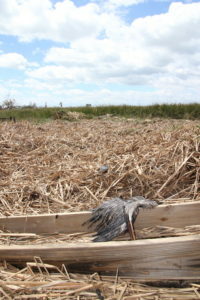 PHSS is famous for its work with brown pelicans. In lieu of flowers, the family requests donations to honor Wendy be sent to Pelican Harbor Seabird Station, 1279 NE 79th Street Causeway, Miami, FL 33138-4206. Donations can be made payable to Pelican Harbor Seabird Station. Francine Jones, age 48, passed away unexpectedly on Tuesday, May 24th, 2011 in Michigan, USA. 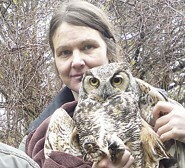 Francine volunteered with River Raisin Raptor Center in Michigan for a number of years before getting her own state and Federal Permits and later worked with Mary Seth of Wings, Paws, and Prayers. Dody Wyman, of River Raisin described Francine as one of the most unique people she has known. "She was full of generosity, quirkiness, and friendliness. Always marching to her own drum, she was truly her own person. Immediately likable, she was happy to share her fantasies and daydreams with anyone willing to listen. You never knew exactly where her marching drum was taking her. When it came time to work with her raptor patients, she was all serious business. 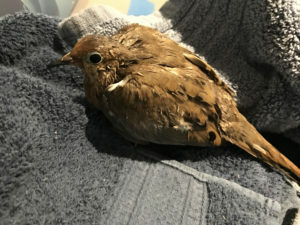 Each bird received the special care and attention it needed." Francine and her father, Paul, did many rescues and releases together in the Ann Arbor area - giving injured raptors in southeastern Michigan the best of care. She will be greatly missed by her family, friends, and the rehab community. Bob Lindsay, 59, of Wichita Falls, died Monday, April 25, 2011. The memorial service with military honors will be conducted at 7:00 p.m. Wednesday, April 27, 2011, in the chapel of Owens & Brumley Funeral Home. A family visitation will follow. Arrangements are under the direction of Owens & Brumley Funeral Home of Wichita Falls. Bob was born June 3, 1951, in Wichita, Kansas. He was a 1969 graduate of North High School and a 1970 graduate of Central Drafting and Technical College, in Wichita, Kansas. He earned an Associate of Applied Science in Engineering Technology from San Antonio College in San Antonio, Texas, in 1983. In 1989 he earned an Associate of Applied Science in Audio/Visual Production Services from Community College of the Air Force and an Associate of Applied Science in Management degree from San Antonio College in 1988. Bob proudly and bravely served his country in the USAF from 1971 until his retirement as MSgt from the USAF Reserves from the 433rd following twenty-fours of service. He served on the Board of Directors, as well as acted as Volunteer Coordinator after starting as a volunteer for Wildlife Rescue and Rehabilitation from 1993-2005. He worked as Executive Director for Wild Bird Rescue from 2005-2011. Bob was a beloved husband, father, papa, son, friend and protector and caretaker of all wildlife. Bob is survived by: his wife, Phyllis Lindsay, of Wichita Falls; daughter, Heather Lindsay of San Antonio, Texas; sisters, Sandra Geer, Pamela Deitchler, Patricia Mudloff, Kay Adams and Debra Adkins; a brother, Russell Adkins; his mother Thelma Gayer; a granddaughter, Jasmin Paniagua. In lieu of flowers, the family respectfully requests donations to be made in Bob Lindsay’s honor to Wild Bird Rescue, Inc. 4611 Lake Shore Drive, Wichita Falls, Texas 76310. Condolences may be sent to the family at www.owensandbrumley.com. 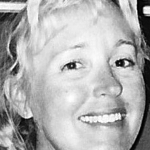 CUERO - Andrea Rene Wickham, age 53, passed away on Saturday, April 9, 2011 after a short, but difficult bout with cancer. She left this earth peacefully, surrounded by her loved ones. She was born on June 21, 1957 in Greenfield, Indiana. Andi was a beautiful and gentle soul and will be forever missed. Besides her devotion to family, Andi's greatest passion was animals. She was a lover and caregiver of any animal in need. During her childhood, Andi took in orphaned animals such as deer (Belvedere and others), ferrets, vultures (Igor and others), owls, hawks, raccoons (Honky and others), and birds, along with many dogs and cats. Wherever Andi went, her animal friends were close behind. She spent many years working at The University of Texas Marine Science Institute in Port Aransas with Oceanographer Tony Amos and assisted Tony on numerous National Science Foundation and National Oceanic and Atmospheric Administration research trips to Antarctica She worked tirelessly at the Animal Rehabilitation Keep (ARK) in Port Aransas, caring for injured animals from dolphins to shore birds to sea turtles. She spent many nights looking after stranded dolphins and countless hours nursing them back to health. Her greatest joy was in releasing them, as well as all recovered animals at the ARK, back to their natural environment. Andi is survived by her parents RO and Barbara Thomas Wickham of Cuero, brother Drake Wickham of Cuero, sister Kris Fowler and husband Jim of Corpus Christi, brother Matt Wickham and wife Gay of Victoria, niece Adrienne Potter Gasiorowski and husband Scott and son James Patrick of Corpus Christi, niece Sara Potter Mille and husband Sean of Corpus Christi, nieces Kate Wickham and Anna Grace Wickham, and nephew Will Wickham of Victoria. Five of her cherished adopted pets, Emma, Bella, Gus, "Puppy" and Dizzy, also survive her, as well as many additional relatives and friends who mourn her loss. Andi was cared for by her loving parents during her illness. Her wonderful friend Jane Schnelker gave her tremendous comfort during the last few months, for which the Wickham family is forever in her debt. A celebration of Andi's life will be held on Saturday, April 23, 2011, from 2-4 pm at Aransas Princess Conference Center, 720 Beach Access Road 1-A, Port Aransas, TX, 78373. The family would like to express deep appreciation to Hospice of South Texas who provided invaluable emotional support and medical care in Andi's last days. In lieu of flowers, if you wish to remember Andi with a charitable gift, please consider the ARK in Port Aransas or Hospice of South Texas.